Creosote is an extremely flammable substance, so its best to avoid creosote at all costs. It’s basically a dangerous byproduct produced by a fireplace chimney. Fires help keep us warm and are good for creating cozy environments, but fire can produce creosote and it needs to be addressed. Creosote is a mixture of chemicals that are formed when a material that comes from plants such as wood is burned. 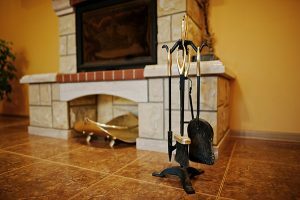 Every time that you use your fireplace, a small amount of creosote will be deposited in the flue or in the chimney lining. It’s always important to burn wood completely when making a fire. If there isn’t enough airflow, the fire will be starved and will not be able to completely burn. 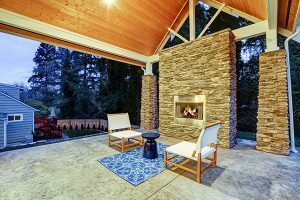 The parts of the wood that don’t get burned turn into a vapor that can mix with the fumes travel up the chimney lining, and once it cools down and mixes with other vapors, solidifies and hardens on the lining. What Are the Stages of Creosote Build-Up? There are three different stages in the formation of creosote. At first, it looks just like a flaky substance. You can easily brush it off and you certainly don’t need a professional to do it, although they are able to if that is what you would rather choose. In the second stage, it starts to get harder and harder to remove. It’s no longer flaky like substance. It’s more like a tar substance, thicker and sticky. In order to remove it, you may need a special type of brush or scraper, so calling a professional service to help you identify and remove creosote is never a bad idea. If you try to remove creosote yourself, you may not get it all because you lack the necessary equipment. In the third stage, the creosote becomes very hard. Each time that you burn a fire and the temperature in the flue rises up, the creosote will begin to turn into a liquid and drip like a candle. At this stage, it will cost much more for professionals to clean it out than it would have if it was taken care of at stage two. This underscores the importance of taking preventative measures and checking on your fireplace for creosote condition. The sooner you can get a professional to help you, the less it will cost. How Can You Reduce The Amount Of Creosote That Builds Up? Creosote issues can be cyclical. Because you don’t have adequate airflow, creosote forms from the byproducts of the wood. The increase in creosote that builds up and progresses through the different stages will also cause the airflow to be restricted. In other words, the airflow causes creosote, and the creosote will block the airflow. It’s important to make sure that you always have adequate airflow. To do this, you want to be careful when you have a fireplace insert or a wood stove with glass doors. The type of firewood that you use also will greatly affect the creosote that builds up. For example, if you use the type of pre-packaged wood that you can buy at the store, you may have more creosote build up. This type of wood tends to result in large amounts of creosote. 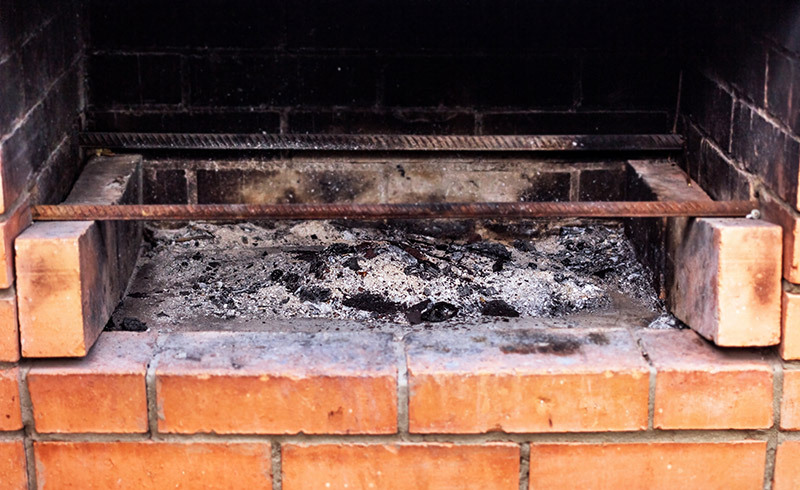 In addition, unseasoned firewood can lead to large deposits of creosote. You never want to use wood that has been freshly cut and unseasoned. Unseasoned wood that has not been able to drain the moisture out will also result in creosote. You want to cut wood and let it sit in a dry place, at least for six months and preferably for one year. You need this much time because you want to make sure that all of the moisture has been removed from the wood pieces during the seasoning process. That’s why it’s best to always plan ahead when you have a fireplace. If you want to be able to burn many fires for a long time without posing a safety risk to you and your loved ones, you will want to take steps and plan ahead to season your firewood. If you decide to buy it from someone else, make sure that you are able to check the place where they keep the firewood. Avoid buying it online or on the phone where you cannot verify that it’s stored properly and looks to be seasoned. Other Safety Measures: Why Should I Get My Chimney Swept? Getting your chimney swept is a great service to get done each year before the winter begins. Many companies out there specialize in chimney sweeping, and they have the expertise and equipment needed to do a good job in a safe way. Plus, you can usually find one in most parts of the country for a reasonable price. Why get your chimney swept? 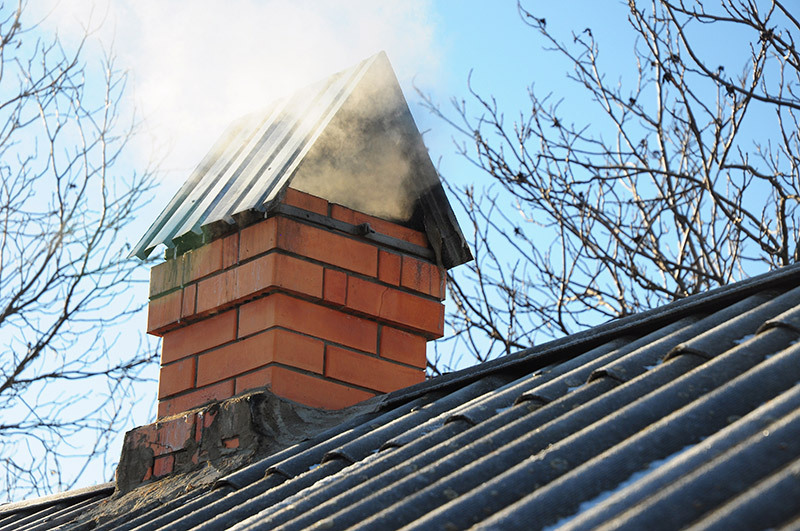 It’s so important to keep a chimney cleared out because making a good fire depends on having a clean, clear chimney. In addition, if you want to keep your home safe, you’ll need a clean chimney. A blocked chimney can result in major noxious fumes pouring into your home, polluting the air and potentially harming your health. Many different things can clog up your chimney. Animals’ nests can be built in there, causing a blockage. Debris such as leaves that have been deposited during a storm can also collect. If you have trees or bushes, strong winds from a storm can knock extra leaves or twigs into the chimney, causing a build-up of natural debris. 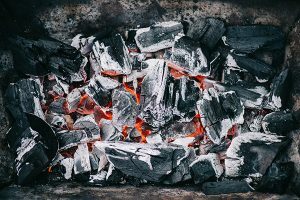 All of these possible causes of blockage can result in a damaged fireplace; they also show why it’s important to get your chimney swept on an annual basis. While a nice slow burning fire can be cozy and makes for a nice setting, it ‘s also essential to be a vigilant homeowner and take care of your fireplace. Choosing the right firewood and being sure to monitor that the wood is seasoned for upwards of a year is an excellent first step. 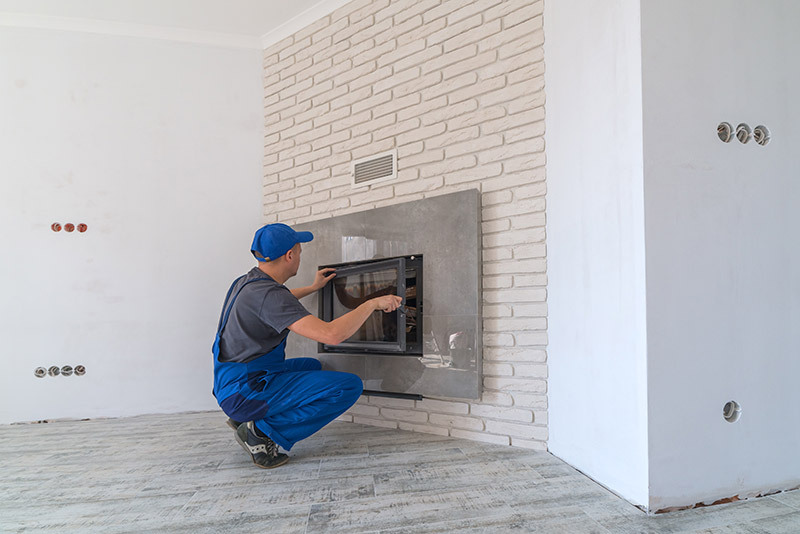 You also may want to get the help of a professional service that will be able to check out your chimney, ensure that it’s properly functioning and that the creosote is not building up. 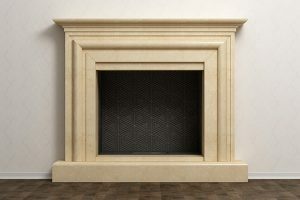 A bit of prevention will go a long way to making sure that your fireplace works optimally. Got a serious creosote issue, or think you might be in danger of having one? You’re in the right place. Call one of our chimney sweeping specialists to inspect your chimney for any serious faults. Get a free quote today.